The average price for this game in the past 6 months is $29.57. The game first became 50% off on Mar 22, 2019 at Fanatical. Lowest historic price was $24.75 on Mar 22, 2019 at Fanatical. New historic low price on Pillars of Eternity II Deadfire. This is probably one of the best Obsidian CRPG in recent years and if you've never tried the Pillars series before, we think this is a great title to start with. Pillars of Eternity II Deadfire arrives next week Tuesday and fans of the series can enjoy a quick 22% off pre-order offer at GMG. 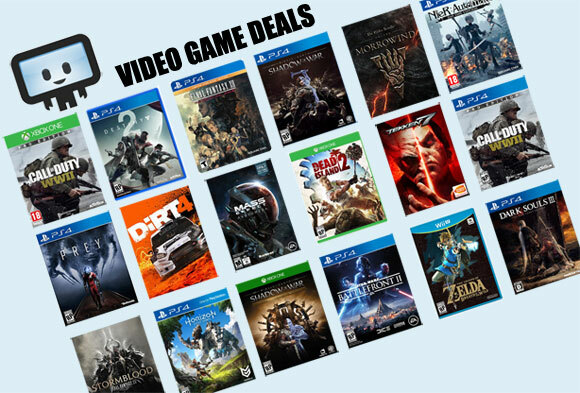 (Next best price is 17% off at DLGamer or Fanatical). Includes pre-order bonus Captain's Footlocker pack which gets you an in-game hawk pet along with two other digital items. Discount also applies to Deluxe and Obsidian Edition. If you're an Obsidian RPG fan, this is a can't miss sequel. Pre-load now live and keys are sent immediately after purchase. One of my personal favorite RPG in recent years, Pillars of Eternity II Deadfire Obsidian Edition is a great pick-up for those who enjoy classic RPG and well, almost any RPG from Obsidian. Includes almost all DLC content, the game should be enjoyable even if you haven't played the first installment. In lieu of the usual base/castle upgrade, your main base of operation would be your ship that you captain through the Deadfire Archipelago. Standard Edition is on sale for $24.75. The average price for this game in the past 6 months is $42.89. The game first became 50% off on Nov 24, 2018 at Green Man Gaming. Lowest historic price was $35.09 on Nov 24, 2018 at Green Man Gaming. The average price for this game in the past 6 months is $15.23. The game first became 50% off on Sep 20, 2018 at Green Man Gaming. Lowest historic price was $11.99 on Feb 25, 2019 at Fanatical. The average price for this game in the past 6 months is $15.23. The game first became 50% off on Jun 10, 2015 at GamesPlanet. Lowest historic price was $9.36 on Apr 23, 2018 at Green Man Gaming. New historic low on Pillars of Eternity during WinGameStore's Back to School Sale. This deal is today only and likely to drop from the current 70% off to a more "normal" 60% off after the deal ends later tonight. If you enjoy Obisidan RPG, this is a great pick up. GMG has Pillars of Eternity Hero Edition back at the lowest price ever that we've spotted. Generally not discounted too much since Paradox constantly has it at a higher price point. Pillars of Eternity's new Expansion Pass released today and thus GMG slashed the price on the Pillars of Eternity Hero Edition to only $24.12 after coupon. Almost 50% off the $45 list price. Pillars of Eternity Hero Edition with a surprisingly new low at GamesRocket. Only $18.95 or 58% off the usual $45. Cheapest ever by $3. Pillars of Eternity hits new lowest price at GamesPlanet and GamesRocket (both at about $21.50 to $21.60 after currency conversion). Steam Play key, works on Mac/Linux, and of course PC. The average price for this game in the past 6 months is $8.19. The game first became 50% off on Jan 25, 2019 at Green Man Gaming. Lowest historic price was $7.38 on Jan 25, 2019 at Green Man Gaming. The average price for this game in the past 6 months is $7.38. The game first became 50% off on Jan 25, 2019 at Green Man Gaming. Lowest historic price was $7.38 on Jan 25, 2019 at Green Man Gaming. The average price for this game in the past 6 months is $13.65. The game first became 50% off on May 17, 2018 at Green Man Gaming. Lowest historic price was $11.69 on May 17, 2018 at Green Man Gaming. The August 25th released Pillars of Eternity Expansion Pass now down to only $13.95 at GamesRocket. Lowest price ever by $5 and over $5 cheaper than anywhere else online. If you've never tried Pillars of Eternity, now is the perfect time as GameStop has it on a new low price this week. This complete edition includes the base game, DLC's and expansions.